Do you ever think about what you would do with superpowers? Even if you aren’t a comic book or superhero fan, you do know a few names of heroes and what their powers are. Dude in a red cape pretending to be a news reporter – name one of his powers. Kid bitten by an arachnid and sticking to walls. Guy dressing as a bat with cool gadgets – name one of his powers. Trick question! He has none. If you could have one superpower, what would it be? Bonus question – what would you do with it? Science – A lab accident gave powers to you. Magic – You are connected to supernatural forces allowing you to perform super feats. Biology – There is something in your genetic makeup giving you unique powers. 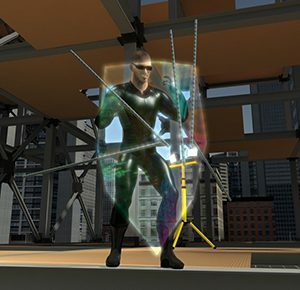 Technology – An advanced piece of equipment gives you superpowers. Super abilities in the Pentavis Multiverse come from a similar list of sources. In our comics, a few members of the Hamerand crew (Sons of Earth) use biological abilities categorized as Penergics. Solinox/Treycer (Solinox) uses technology. You can find out about many super ability types as well as detailed descriptions of penergics in the Force Role-Playing Game corebook. Pentavis Comics titles are all based on the RPG from the mid 80s but may use variations of super abilities. Alternate realities – what ya gonna do? What exactly is a Penergic? Penergic comes from the words P-Cell and Energy. Without getting into the weeds, let’s just say, a p-cell is an intangible cell occupying the same space as a regular cell in your body. It generates a type of energy that interacts with the universe around you giving you access to a variety of abilities. Their effects look like the superpowers you are familiar with. Even though your p-cells give you access to a set of super powers that are probably handed down through generations, you can also discover new ones and be trained to use more. P-cells are supposed to be capable of all penergics whose powers can evolve over time. Have you thought about the two questions I posed? Need some examples? There are way too many to list, so I chose a few of the most famous. Telepathy – Use only your mind to communicate with the mind of another. Flight – You soar through the sky (or other elements in Force RPG), without wings or a plane. Invisibility – Make yourself unseen by people, cameras, animals, etc. 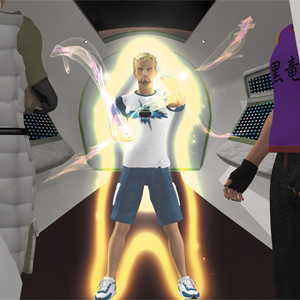 In Force RPG, you can also become intangible and control which parts of your body are seen. Teleportation – In the blink of an eye you can move from one spot to another. Would you like to travel from California to Florida in a second? Time Control – You can stop the flow of time. Everything around you stops, leaving you to move freely. Those are just a few! Is your favorite among those listed? I know it is hard to choose just one. The bonus question was, if you had this super-power, what would you do with it? Could you be responsible with it? Would you use it primarily for the benefit of others or for yourself? There are no right or wrong answers. After thinking about it, you may even learn something about yourself. I would love to read what you choose and how you would use it. Leave it in comments here on social media or email me directly. Superpowers can give you an insight into parts of your personality that you haven’t explored. This alone is why you should care about them. In comic books you may find someone you can relate to and see how they might use the ability you chose. In a role-playing game you can play a character who has this ability and you can discover how you would use this super-power. Your imagination is boundless. Let us inspire it. Thank you for taking the time to read. If you liked this post, please pass it on and follow us on social media to like and share. 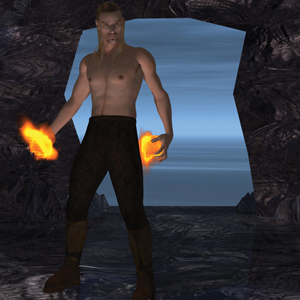 Explore the links above to check out our comic books and role-playing game. We hope to hear from you. Posted in Comics, Company, Roleplaying and tagged comic books, comics, Pentavis, solinox.